I had nowhere to stay at Peradeniya, and I did not do much to overcome this problem. 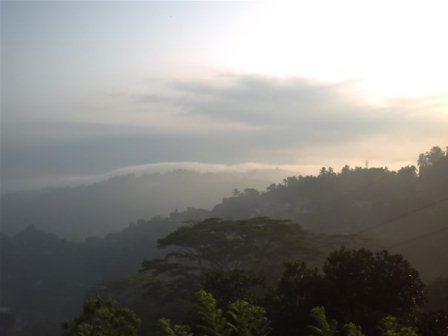 At first I had stayed in the University Guesthouse, high on the hill above the Arts Faculty, with beautiful views westward, but little in the way of food or even coffee. Ashley Halpe then put me up once or twice, with his usual generosity, but he was in effect camping out himself, for his wife had stayed on in Colombo with the children, after he got himself sent back to Peradeniya with the re-establishment of several universities. I was carried away last week, while describing the architecture of Lakmahal, by some of the dogs who had inhabited the house. This was inevitable because I had wanted, in celebrating the place, to revive memories of its denizens too. And since it was because of my pleas as a little boy that dogs, just six of them in the seventy year history of the house, were finally allowed to reside inside the house, to sleep in a bedroom, usually mine, and join us at meals, I feel a personal obligation to enter them too into the record. But in those days, when I was young and gregarious, I welcomed people too, and was delighted when the guest rooms were occupied. There were two of them, a long large room that lay behind the piano room extension of the drawing room, and a tiny room that lay behind the larger one, at the south west corner of the house. Originally this had had a door that led out into the tiny yard between the main house and the servants’ quarters, but when I came back from university I found this closed up, doubtless as security questions became more worrying. 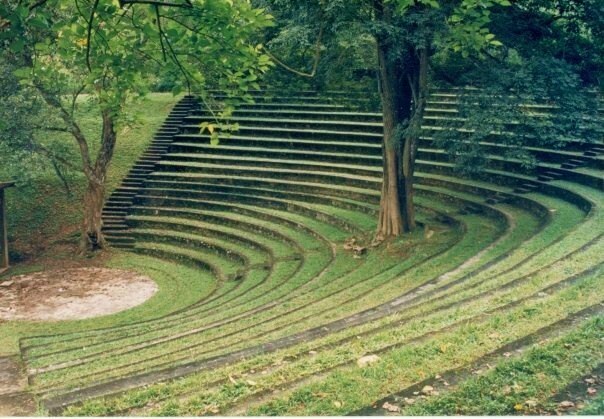 I began lecturing in Peradeniya on January 2nd 1980. Getting up before dawn to catch the train had not been easy, since the 31st of December had been spent at the usual Ponniah party. My last act of the seventies had been to introduce Gowrie Wignarajah to Rohan, having overcome her diffidence about going to a party with a crowd considered irredeemably fast by Colombo High Society. The acquaintance flourished, and Gowrie still accuses me of, or thanks me for, changing her life, for worse or better, depending on her mood. Thankfully, her father seems quite happy with his son-in-law, and the family still flourishes at Mangalagiri, another wonderful old house. 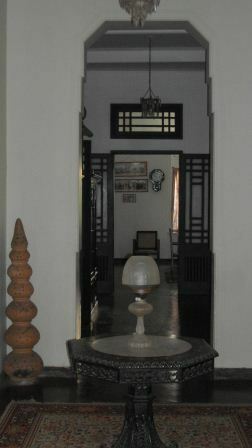 Cyril and Esme Wickremesinghe moved into Lakmaha l in January 1937. The Parsi architect Billimoria was responsible for the final design and construction, but the inspiration for the layout was Cyril’s.